Hurry! Make this! I see autumn food on the horizon, encroaching quickly! If you have any zucchini left in your garden, or if you come across some at the Farmer’s Market, grab a few and make this for an easy. fast, fresh lunch. I came up with this recipe a couple weeks ago when I had zucchini overtaking my garden. 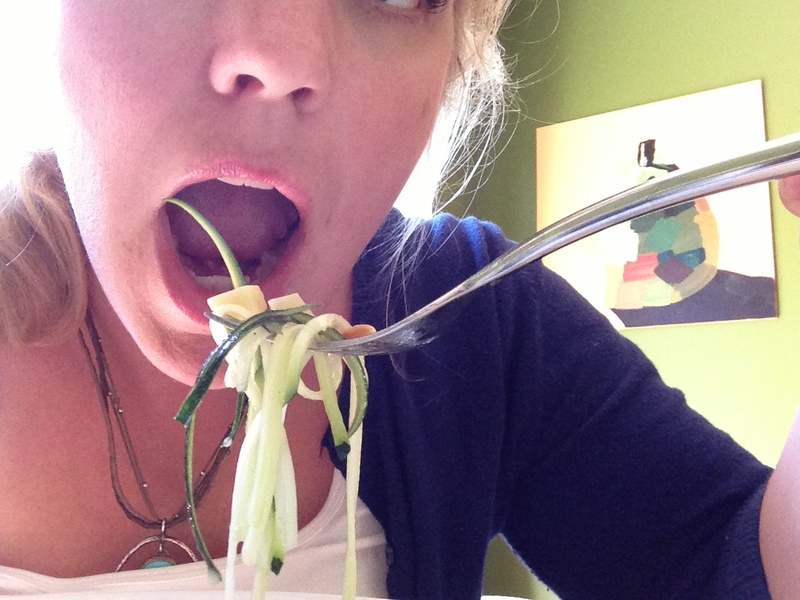 I had to get creative with how to use it all without overdosing on zucchini bread. 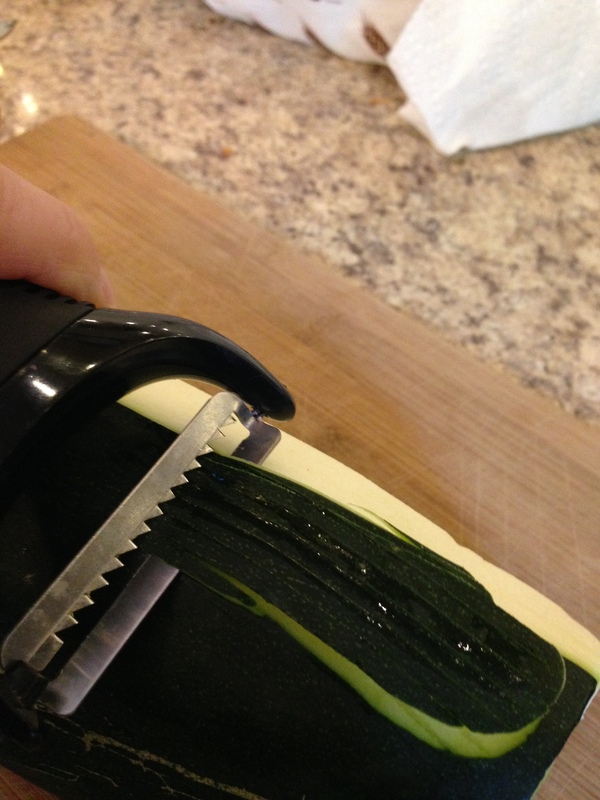 Just run your julienne peeler along the zucchini. And then you end up with beautiful “zucchini spaghetti”. Lovely. Right, super easy. 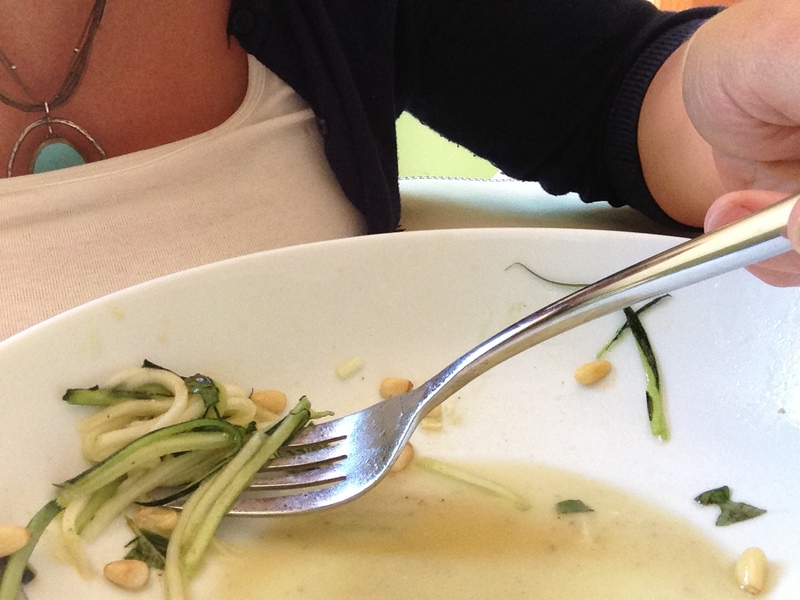 Julienne your zucchini(s) into your serving bowl, just as shown above. 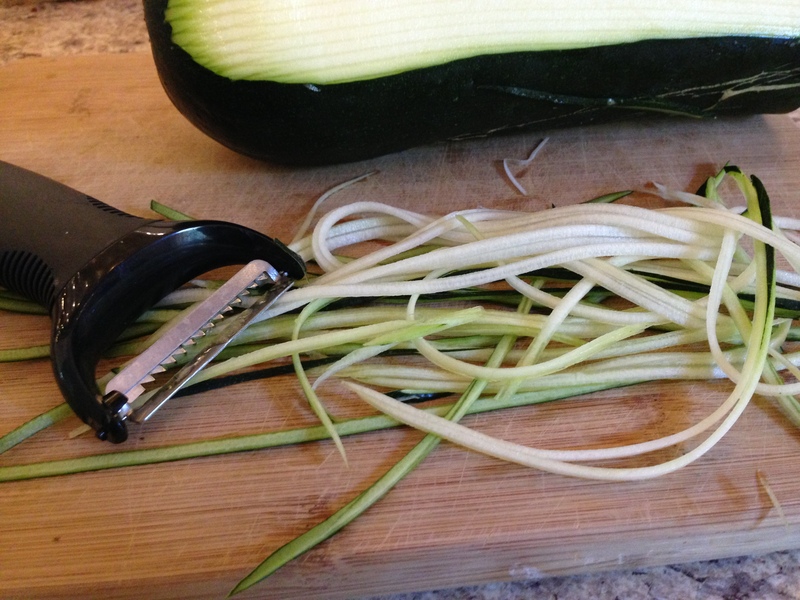 I like to julienne the zucchini until you get to the seeds in the middle. Then I just rotate the zucchini and continue peeling on all 4 sides. You’ll be left with a skinny, floppy middle that you can feed to your guinea pig. Crumble your cheese into the bowl. Add the pine nuts and herbs. Whisk together the dressing ingredients in a small bowl. Season to taste with salt and pepper. Want it sweeter? Add more maple syrup or honey. More piquant you say? Get generous with the mustard. You get the idea. Pour dressing over the zucchini, smulch together, and voila- lunch fit for someone as fab as your bad self. 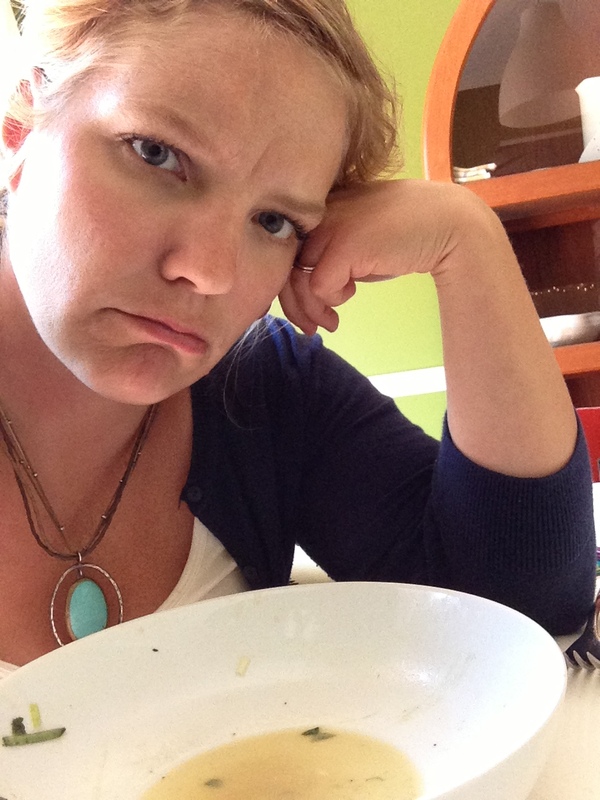 Here is my experience eating my zucchini salad. Enjoy. Now I’m sad it’s all gone. 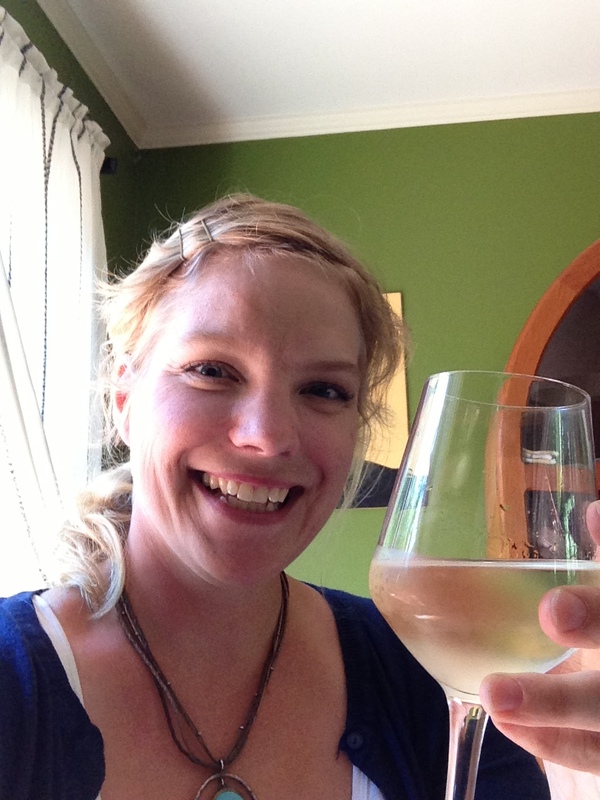 Oh wait, I have wine- yay! I am so trying this out! 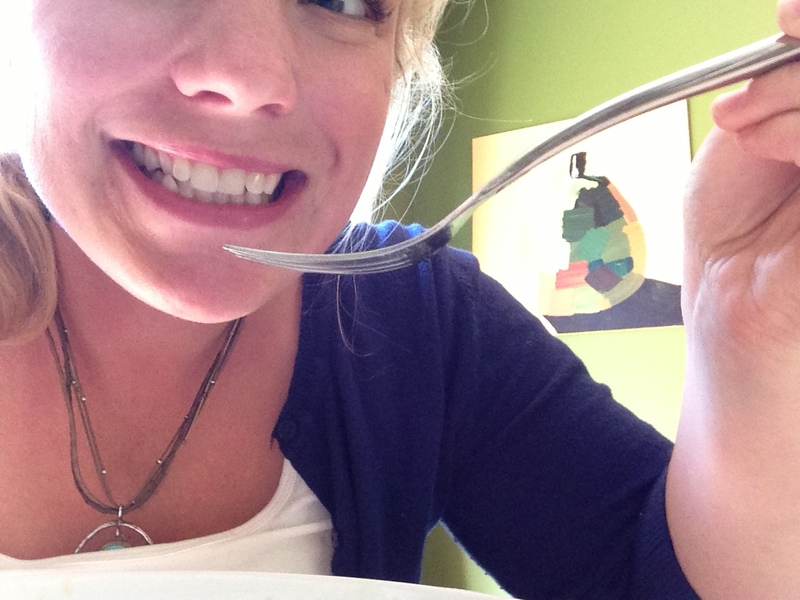 So excited your sharing your awesome recipes! Yum to both the zucchini, and the wine! I knew you’d like the wine. going to go buy a julienne peeler today! Can’t wait. thanks for your enthusiasm its infectious. Annie, this is a really cool blog page you’ve set up. Muy Bueno!!! Keep it up!